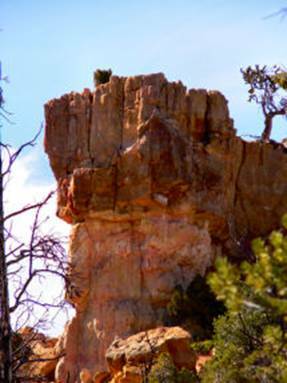 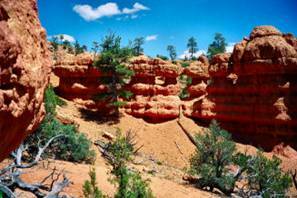 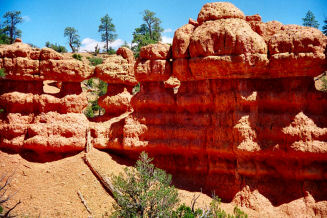 Red Canyon Scenic Area is a part of Dixie National Forest on Utah Hwy 12. 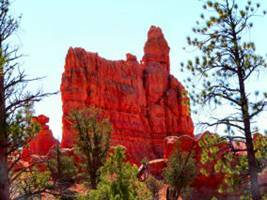 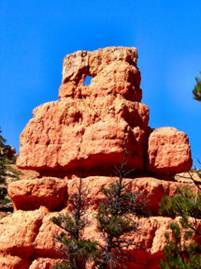 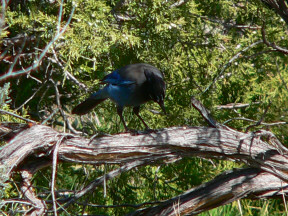 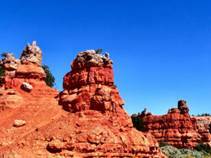 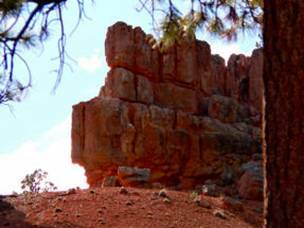 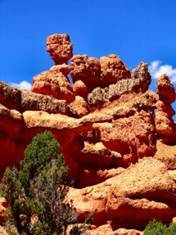 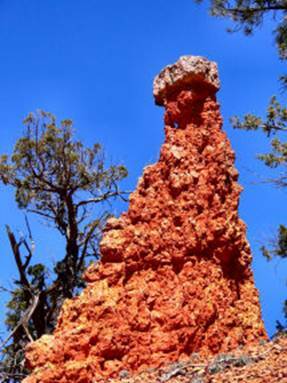 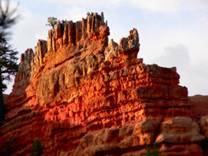 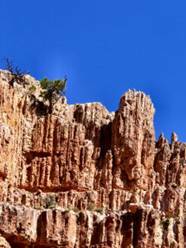 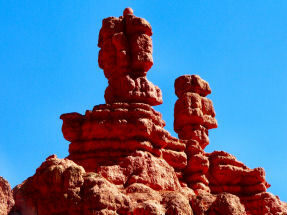 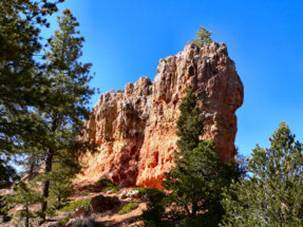 Many people drive through and think they have seen Bryce Canyon National Park. 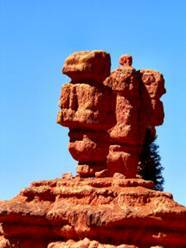 The Traveling Morgans look at Red Canyon as the appetizer with Bryce Canyon as the main course and Cedar Breaks National Monument as a light desert. 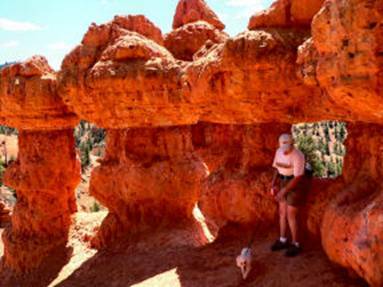 The Arches Trail and Cabin Hollow sections (both below on this page) are especially scenic. 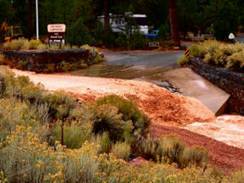 When there is a heavy rain (called “male rain” by the Native Americans in the area), the normally dry “washes” fill and you can be stuck in the campground until the water goes down (a day or two). 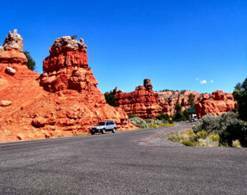 You hear road noise (mainly trucks exhaust breaks) in the campground at night. 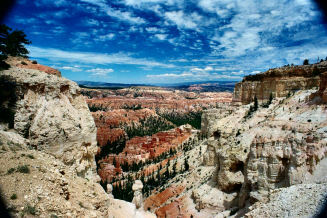 See also Bryce Canyon flooded wash. 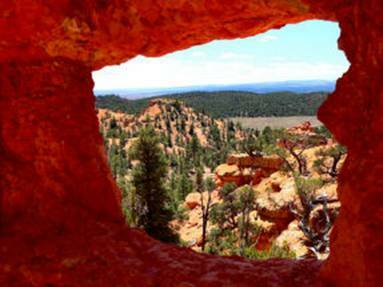 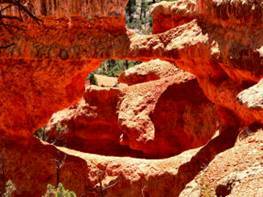 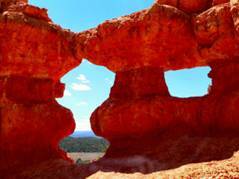 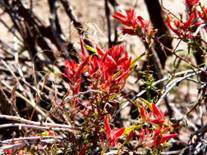 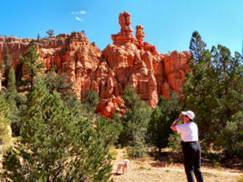 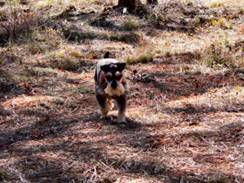 If you can only take one hike in the Red Canyon Scenic Area of Dixie National Forest, make it the Arches Trail. 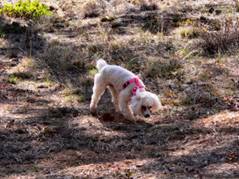 The pictures should explain why. 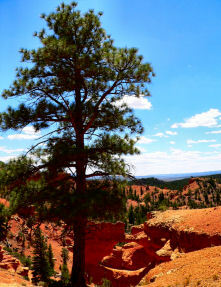 A Dirt Road leads through Cabin Hollow. 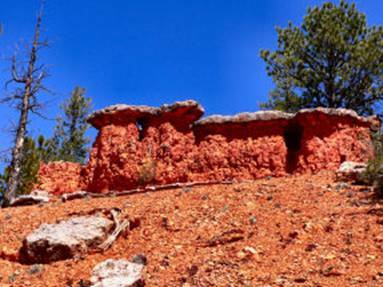 Cabin Hollow has many places for dry camping — and incredible scenery.